Very beautiful and exciting scenery for April with even more awesome dish called “Sarmale” – Romanian cabbage rolls! 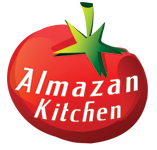 Snowfall will never stop AlmazanKitchen from making videos for you – our dear friends! Everything made just how we all love – in a rustic natural style! Cracking fire – you even can feel it’s heat through the screen; snowfall and water, what can be better? Exactly! Everything of things above + great recipe which you can repeat and taste! Very nourishing and healthy, tasty and tenderous – yummy! Slice& dice 150g of smoked bacon. Preheat the pan, grease with oil. Toss in 500g of mince and 150g of sliced& diced smoked bacon. Salt & pepper, stir well! Add 1 tbsp. of flour into wooden bowl and some water and mix until batter like consistency, if needed add more water. Pour everything from the wooden bowl to the pan, stir and mix well! Crack 1 egg, mix and stir well! Refrigerate for 30-60 min. Prepare handful of chard. Soak it in the pan with water for few minutes. Roll the filling into each chard! Place every roll inside the clayware casserole! Pour some water from the pan where we soaked our chard to the casserole and pour some soy sauce to taste. Cover everything with 15-20g of grated cheese. Cover the casserole with lid or pan with coals above to late it back from all sides. You’ve made my day with this Romanian delight 🙂 Mulțumesc frumos!